St. Patrick's Church in 1905. The crowd had gathered to welcome President Theodore Roosevelt, who visited Fort Worth that year. Photo courtesy of Amon Carter Museum. From St. Patrick's: The First 100 Years . By William R. Hoover. 1988 by St. Patrick Cathedral Fort Worth, Texas. First Edition. The military post, Camp Worth, was established in 1849 on a bluff overlooking the west fork of the Trinity River. The post was deactivated in 1853, and the military detachment moved to Fort Belknap to the west. Merchants and settlers moved into the abandoned fort buildings, and soon there was a small civilian population. In 1856 the frontier town, named Fort Worth, became the seat of Tarrant County. By 1860 the population had grown to 450. The Civil War had a devastating effect on the little town. Many men left to take part in the fighting. Indian raids began when Army soldiers left to fight in the war. When the war was over in 1865, confederate war veterans and cattle raisers began to settle in the frontier town. They returned to abandoned homes and shops, a small half-completed courthouse and a population of no more than 250. Soon, Fort Worth became a stopping place on the Chisholm Cattle Trail, and began to experience growth again. The spiritual needs of Fort Worth Catholics were met by missionary priests who visited the town from time to time in the later 1860’s as part of a circuit route that took them on horseback from Galveston through points throughout Texas, passing through Fort Worth. The missionary priests would say Mass in the courthouse, an available hall, or a private home. Between 1866 and 1876 the population of Fort Worth grew to 2,000. In 1870 a more systematic arrangement developed to ministry Fort Worth Catholics when Father Mathurin J. Pairier, a member of the French religious order the Society of Mary, began visiting Fort Worth twice a year, in spring and in the fall, from his base in San Angelo. In 1875, by arrangement with Galveston Bishop Dubuis, the visits by Father Pairier were increased to once a month, augmented by periodic visits from Father Claude Martiniere, who came from his post at Wylie in Dallas County. Between 1876 and 1877, Fort Worth’s population increase was fourfold, to 8,645. The rapid growth was spurred by the coming of the railroads. Many of the railroad workers, as well as the immigrants who followed the rails west, were Catholics – Irish mostly. Their arrival made an immediate changes impact on the Fort Worth Catholic Church. In 1876, Bishop Dubuis assigned Father Thomas Loughrey to Fort Worth as its first resident pastor, and within three months the first Fort Worth Catholic church was built-- St. Stanislaus Kostka. In 1884 Father Loughrey was replaced by Father Jean Marie Guyot, who immediately began planning a new, larger and more ornate church. 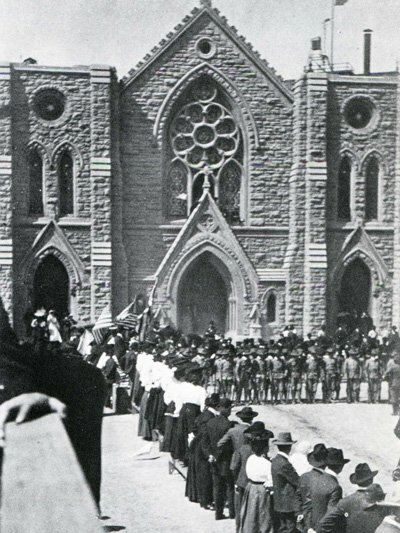 The cornerstone for the new church was blessed and laid by the new Galveston Bishop Nicholas A. Gallagher on October 14, 1888. Bishop Dubuis retired to France in 1881 for health reasons. By vote of the majority in the parish who members now were primarily of Irish decent, the new church was named after St. Patrick. On July 10, 1892, Bishop Thomas F. Brennan, the first bishop of the newly established Diocese of Dallas, dedicated the new church. The Diocese of Dallas included the area which 79 years later would become the Diocese of Fort Worth and which included seven parishes: Fort Worth, Cleburne, Gainesville, Henrietta, Hillsboro, Muenster, and Weatherford. The priests serving in the area came from many parts of the country and the world, who were good and zealous men who endured hardship, poverty, and impaired health. They were true missionaries and heroes, and were examples of faith that laid the foundation for Catholic Diocese of Fort Worth of today. The Sisters of St. Mary of Namur arrived in 1885 to establish St. Ignatius Academy. In 1888, the same year that the cornerstone was laid for St. Patrick church, the Sisters of St. Mary of Namur began construction on a new large building to accommodate the increasing enrollment at the Academy. The Sisters concurrently opened other Catholic academies in North Texas. By 1896 Catholic schools were in Gainesville, Pilot Point and Cleburne operated by other communities of women religious. Like the priest who served the area, the sisters were great examples of faith and heroic lives. In 1910, the Sisters of St. Mary marked a milestone by establishing the first Catholic college, Our Lady of Victory in Fort Worth. As the City of Fort Worth grew, so did the Catholic population in Fort Worth and the area. Under the episcopate of Bishop Joseph Dunne, the second bishop of the Diocese of Dallas, All Saints parish was formed in 1902, Holy Name parish in 1907, and St. Mary of the Assumption in 1908. St. Rita’s parish in Handley (now a part of Fort Worth) was established in 1909. By 1910 the present area of the Fort Worth Diocese had twenty-six parishes many of which were created in the rural areas where German and Czech immigrants settled. During the term of the third Bishop of Dallas, Bishop Joseph Lynch (1911-1954), the present area of the Fort Worth Diocese continued to grow in the number of parishes, and there were many native vocations to the priesthood. When Thomas K. Gorman was named co-adjutor bishop of Dallas in 1952, the Dallas Diocese had grown from 26 parishes in 1910 had to 53 parishes. Bishop Gorman recognized the importance of Fort Worth and renamed the diocese as the Dallas/Fort Worth Diocese with St. Patrick church elevated to co-cathedral status. When Bishop Gorman retired in 1969, he recommended the Diocese of Dallas-Fort Worth be split into two entities. Pope Paul VI accepted the recommendation and on August 9, 1969 he created the Diocese of Fort Worth which encompassed 23,950 square miles and 28 North Texas counties from Hill County to the south to Cookie County on the north and Hardeman County to the far northwest. When it was established the Fort Worth Diocese had 86 priests, 53 diocesan priests and 33 religious priests. On August 9, 2009, Bishop Kevin W. Vann began a year-long celebration of the 40th anniversary of the Diocese with a special anniversary Mass at the Fort Worth Convention Center. The year-long celebration focused on spiritual renewal through "communio" which was reflected in the anniversary theme: One Lord, One Faith, One Hope. Today the Diocese of Fort Worth has grown from 60,000 Catholics in 1969 to 1,010,383 Catholics. The Diocese is comprised of 90 Parishes (1 Mission) and 19 Schools, with 135 Priests (41 are Diocesan), 77 Permanent Deacons and 59 Sisters. A special "thank you" to Kay Fialho, Historian and Archivist at St. Patrick Cathedral. The Diocese of Fort Worth has had three previous bishops. Our current bishop is Most Reverend Michael F. Olson. To learn more about each bishop, click on the names below. The First Bishop of the Diocese of Fort Worth was Dallas Auxiliary Bishop John H. Cassata, a native of Galveston, who was installed on October 21, 1969. Born November 8, 1908, Bishop Cassata was ordained a priest of the Diocese of Galveston-Houston on December 8, 1932 and served as associate pastor and pastor of Holy Name Parish in Houston for 35 years, and as diocesan vicar general. 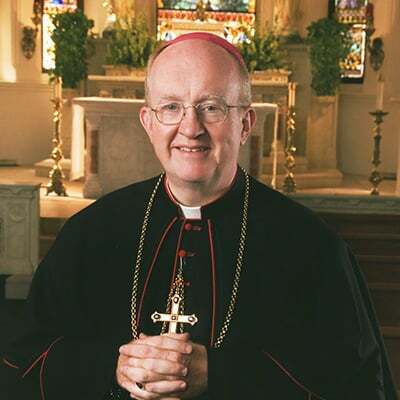 He was appointed by Pope Paul VI as Auxiliary Bishop the Diocese of Dallas-Fort Worth on March 12, 1968, and ordained a bishop at St. Michael Church in Houston on June 5, 1968. He also served as pastor of St. Patrick Co-Cathedral for one year until his installation as bishop. During his 13 years of Episcopal ministry Bishop Cassata brought financial stability to the new diocese and established 12 new parishes. 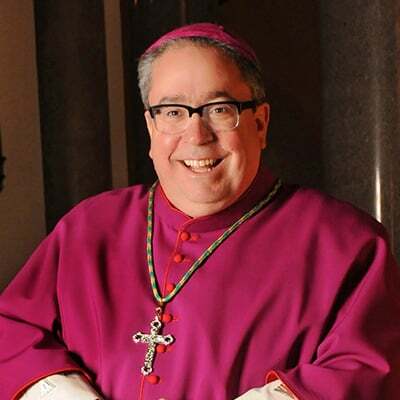 When Bishop Cassata arrived, there were 67,000 Catholics in the new Fort Worth Diocese. When he retired 13 years later, the Catholic population had grown to 120,000. He retired in September 1980, and died September 8, 1989. 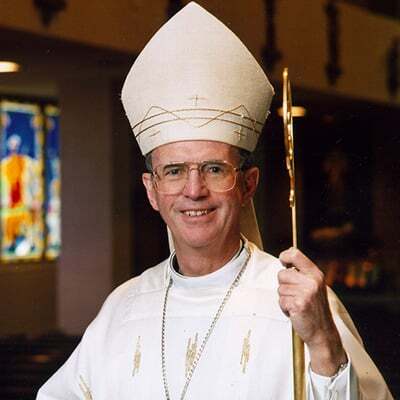 The Second Bishop of the Diocese of Fort Worth was Most Reverend Joseph P. Delaney, who was ordained and installed on September 13, 1981 at the Tarrant County Convention Center. Bishop Delaney, born August 29, 1934, in Fall River, Massachusetts, studied for the priesthood in seminaries in Boston, Washington and Rome, and was ordained a priest December 18, 1960, for the Diocese of Fall River. He came to Fort Worth from Brownsville, Texas. He had received permission from his bishop to serve in the Brownville Diocese. While at the South Texas diocese, he was the pastor of two parishes, superintendent of schools, editor of the diocesan newspaper, judicial vicar, and co-chancellor. Under Bishop Delaney the Diocese of Fort Worth continued to grow. 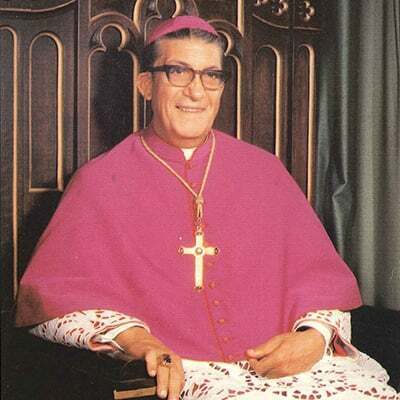 His leadership spanned 24 prosperous years, and under his guidance the diocese continued to underscore the principles of the Second Vatican Council, especially a commitment to the poor, to ecumenism, and to an increased role of the laity in the Church. He also consolidated the diocesan offices and ministries of the Diocese with the opening of the Catholic Center. Bishop Delaney died on July 12, 2005. The Third Bishop of the Diocese of Fort Worth was the Most Reverend Kevin W. Vann, who was ordained and installed on July 13, 2006 at the Texas Christian University’s Daniel Myer Coliseum. Bishop Vann was born May 10, 1951, in Springfield, Illinois. He attended Immaculate Conception Diocesan Seminary in Springfield and Kenrick Seminary in St. Louis, Missouri. After his ordination on May 30, 1981, Bishop Vann was assigned to graduate studies in Canon Law at the Angelicum in Rome. Upon returning to the Diocese of Springfield, Bishop Vann was involved in the work of the Diocesan Tribunal and the Tribunal of Second Instance in Chicago. He taught Canon Law at Kenrick Seminary and before being named Bishop, he was pastor of Blessed Sacrament Parish in Springfield, Vicar for Priests, and the Diocesan Moderator of Hispanic Ministry. On November 15, 2011 he was Ecclesiastical Delegate of the Holy See for the Pastoral Provision. During the seven years of his episcopacy, he ordained 10 men to the priesthood and increased the number of seminarians to 30. Bishop Vann also led the Diocese through unprecedented growth of the Catholic Church in North Texas. He also created a diocesan Respect Life Office and the John Paul II Institute of Lay Ministry. He served until December 10, 2012 when he was installed as bishop of the Diocese of Orange, California.